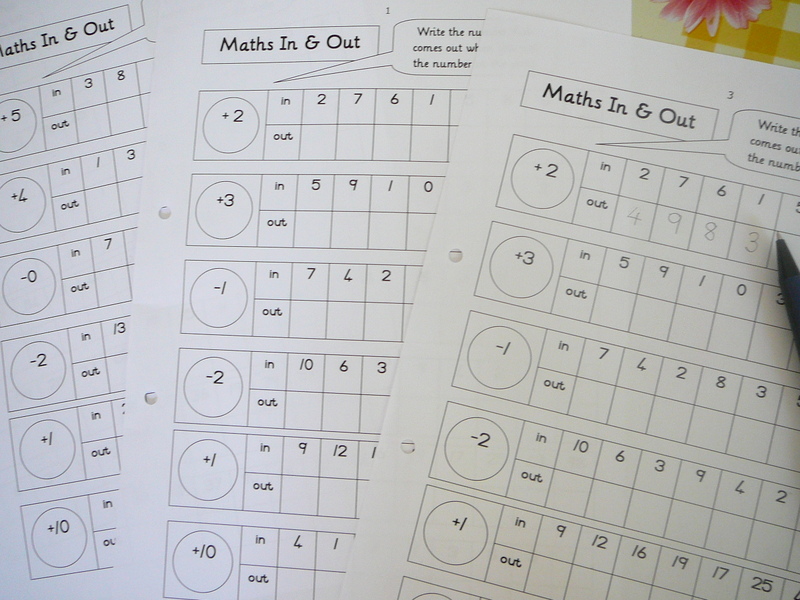 Mental Maths Practice ~ fun worksheets! When a child practices mental maths – maths becomes quicker and simpler! My girls look at their maths charts (Mini Office A5 Maths) too much, so I made some fun worksheets for practice. These worksheets reinforce adding, subtracting, multiplying and dividing with just a few minutes practice every day. 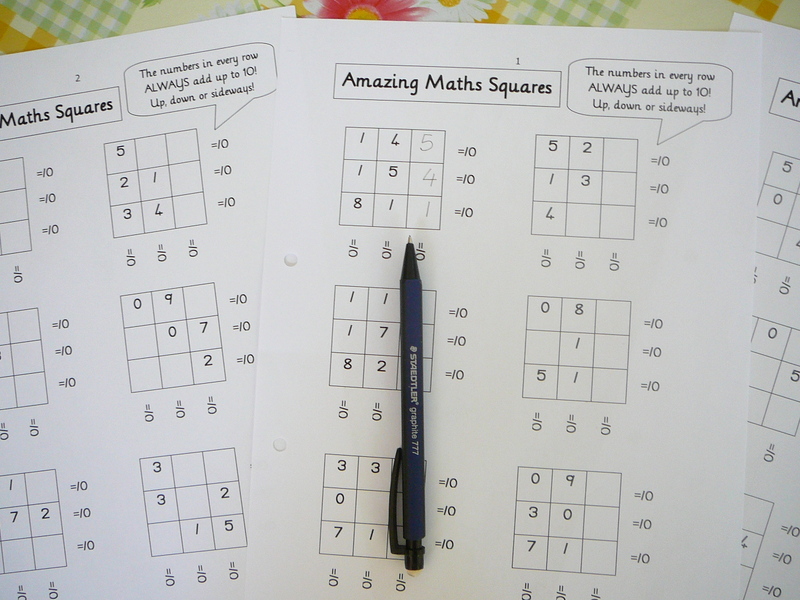 Maths Amazing Squares ~ brilliant for bonds to 10 ~ all rows add to 10, up, down or sideways! With a little regular practice the number combinations or patterns start to “click” ~ which is great for confidence and generates a positive maths attitude! Let me know what you and your children think! Just printed them off and going to try them with the kids. Always looking for math worksheets that might be more fun than just doing straight problems. Oops! Type-o! Thanks! I’ll edit it! Thanks ~ I love these and am grateful that now I don’t have to come up with all this on my own! Am sure my youngest, who struggles so with math, will be helped by using these. Nadene, thanks so much for all you share in your blog.. you ideas are such a blessing for us. Your math pages looks great, I will try them! I love your Math worksheets, I just print them all and will work with my kiddos, thank you SO MUCH!! Thank you SO MUCH!!! I just print them all and will try them with my kiddos tomorrow! This is GREAT! Math frustrates my daughter (for whom reading comes SO easy). I prepared a notebook with exercises ranging in complexity for her to work on at her leisure. These will definitely be included and I am subscribing to your blog. Thanks again. These look amazing. I am impressed with your creativity. Thanks for sharing! Wow! Thanks so much for sharing these! Pingback: Math Teachers at Play #24 « Let's Play Math! Hi Denise, popped over to your blog – wonderful treasure trove of sites, games and ideas! Thanks for all you share! These are brilliant. Thank you so much for sharing. I am loving these. They are exactly what we need to start off this year! I do have one question. 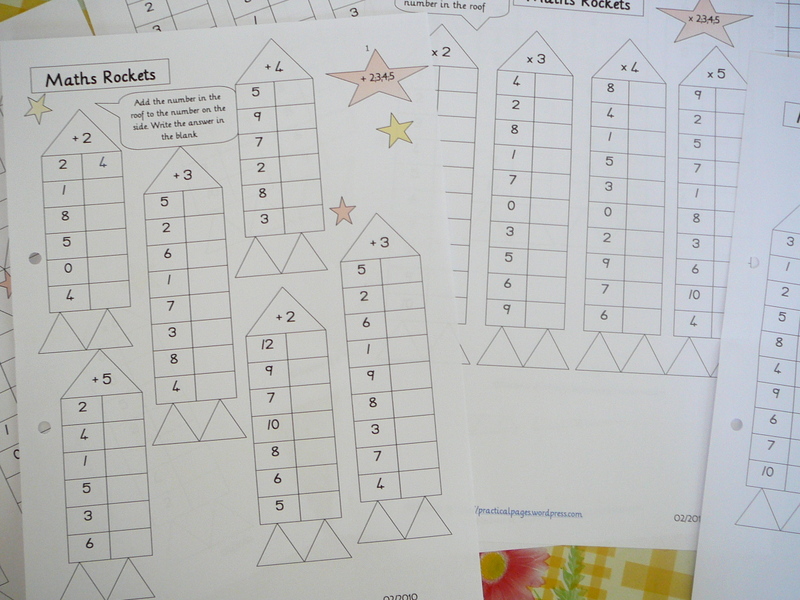 I know it is asking a lot, but is it possible to get the blank ones (like the last page of the math rockets – where we can fill in our own numbers) in a typeable format? Either way I love these and they are a great boost to our math! Thank you for sharing. Lori, thanks, and I’ll try upload a blank MS Word template or if that fails, I’ll email it to you! Thanks so very much for these. My daughters get bored so easily and having something new to spice up the tedious problem of practicing math facts is wonderful! Thankyou very much for such an interesting assignments. My kids really liked them. thank you very much for the great maths sheets , it will be big help for me to teach maths to mentally disable adults. me myself i find math very hard but the work sheet is just wow thanks a million for this web page.thanks a lot also cos i am in a year grop whith is very important for me it helped. I’ve downloaded all the worksheets. My 5 year old would love these. Thanks a lot! The ideas and patterns are excellent, it will make the young minds think ! This is just what I was looking for! Thank you! Thank you! Thank you!!! These look very good. My son will surely enjoy this. Just a question how will this help mental math. What if the child is still counting with his fingers. @Mercy, I have a finger-counting child too! I suggest that it is quicker and challenge her to try remember bonds rather than count off a visual chart or her fingers. Try make bonds a memory game and put it to the test with playing cards or a dice or dominoes and they will quickly work answers out without using fingers. 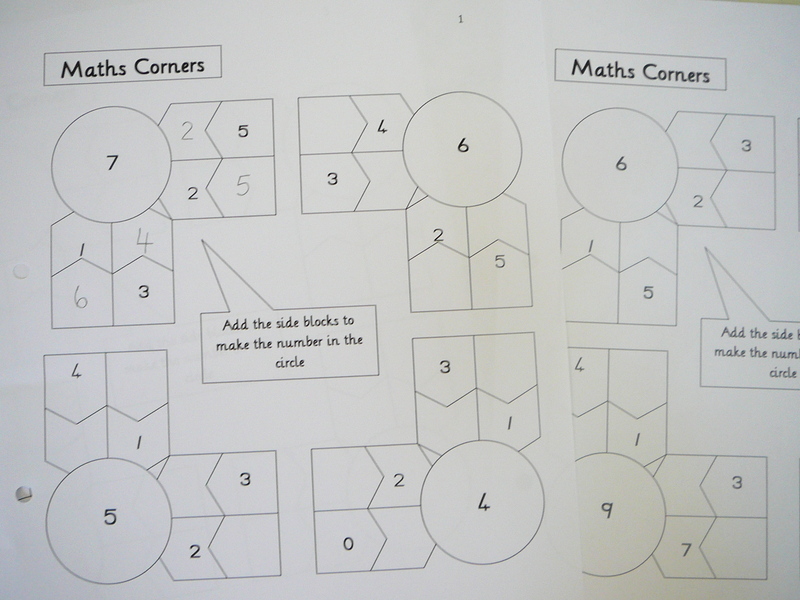 Then come back to a mental maths worksheet for extra practice. I love these worksheets. Just what I was looking for. Thank you so much. Thank you for these excellent worksheets. Thank you so much for this excellent worksheets and website, do you maybe have some tips about mirror writing ? Excellent work.It is very useful for my kids. I really like the addition wheel would try it with my first graders.Thank you !